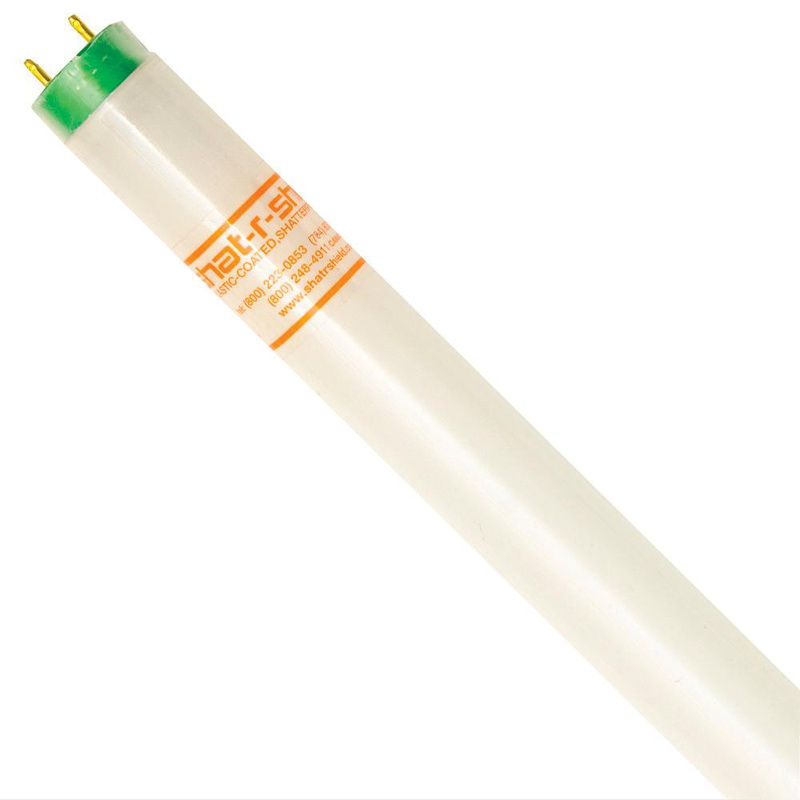 Shat-R-Shield Alto® Lamp Technology 32-Watt T8 G13 Medium 2-Pin base straight linear fluorescent lamp offers 2850 initial Lumens and 2710 mean Lumens for bright and crisp light output. This lamp has rapid type ballast that regulates the current flow. It has color rendering index of 85 and color temperature rating of 4100K to ensure optimal light level in the surrounding. Lamp in copolymer coated finish, features copolymer construction. It measures 48-Inch x 1-Inch Dia. Lamp has average life of 36000 hours. It is ideal for industrial, food processing, food, service, retail and hospitality applications. Lamp is cULus listed and NSF certified.